A native of Athens, Nikos Panayotopoulos was born in 1963. After sojourns in journalism and the theatre, he published Material's Guilt his first collection of stories in 1996, followed by the novels Ziggy from Marfan: the Diary of an Alien and The Benefit of Doubt . 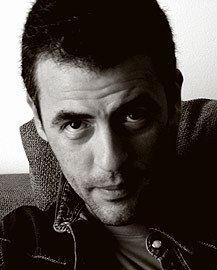 Most recently, Panayotopoulos has turned to writing screenplays: the award-winning Truants and The King . "The solution for a doomed planet is to meditate on the apocalypse." His novel Turmoil is forthcoming. Nikos Panayotopoulos lives in Athens.